Yes, it’s the end of December here at String, and that means cookies (and latkes). In spite of work younger daughter and I have managed to finish baking nine of our ten planned varieties. For 11, she’s stellar and can mix a batter on her own from the recipe without leaving the kitchen a disaster. She’s also dead eye accurate on the cookie gun, and can turn out uniform spritz cookies on her own. As a result we’ve managed tag team production, with me swooping in to do stuff that she prefers not to do, or juggling the sheets in and out of the oven. The recipe I used is from King Arthur Flour’s website – Light Spice Cookies. I had tried another from Fine Cooking, but was sadly disappointed. That dough has been relegated to pat-in-pie crust status. 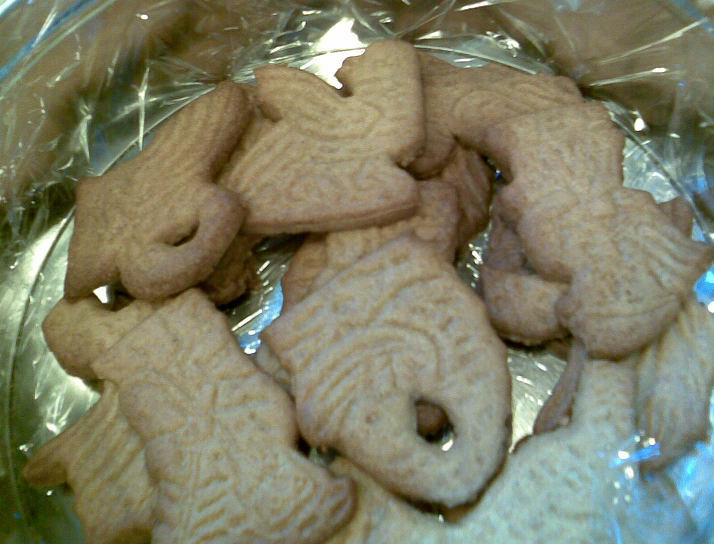 The King Arthur cookies I had made before, using standard cut-out cookie cutters. They turn out quite nicely, sort of like gingery animal crackers, and are especially good when rolled out very thinly. For the record, I use Chinese 5 spice powder in place of ground cloves, just to be different and to tame the clove undertaste a bit (I don’t particularly like cloves). 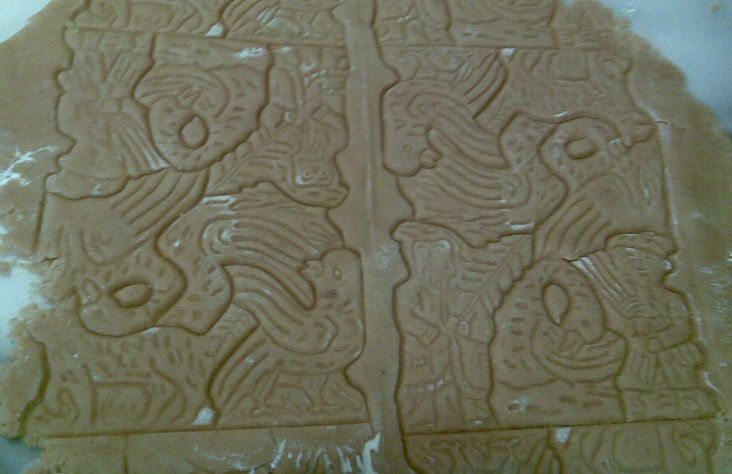 Here you see the dough roller results. 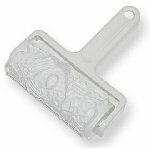 I think the roller’s impressions look a bit like a Mayan Codex. To get this result, I rolled out my dough very thin, less than 1/8 of an inch. Although it was tender and easy to manipulate, the handle of the cookie roller and not the cookie dough turned out to be the weak part of the system. Applying any pressure at all snapped the removable patterned cylinder out of its mooring. So I set the handle aside and used the heel of my hand to apply slow, even pressure as I rolled out the impressions. The raised bits on the roller are high enough to cut the cookies almost completely out. A small bit of encouragement with the tip of a very sharp knife was needed to release a couple of the tricker bits, like the cat’s tail, and the protruding feather of the upside down bird immediately above the cat (or is it a fox or wolf – it’s hard to tell). Nice crisp (almost hard) grown-up ginger spice cookies. Not too soft, not too sweet. A perfect accompaniment to hot tea. A full visual catalog of all ten kinds later this week. I promise.